Since 2014, Google has officially prioritized websites that support the HTTPS protocol on search results. This is understandable because a website with HTTPS protocol with a valid SSL certificate reduces the risk of spoofing and user safety due to the data sent from the browser to the encrypted website server. 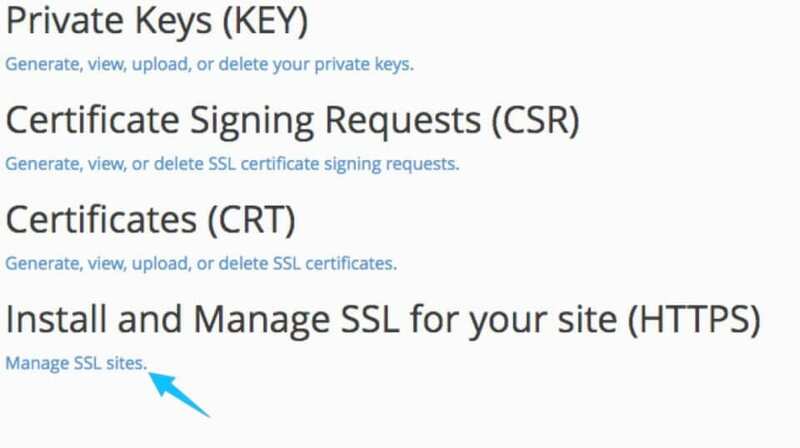 Nowadays hosting services support free SSL certificates from the Let's Encrypt nonprofit organization so you can take advantage to help your website professional and create more trust with users. And if your host does not support the installation of a free SSL certificate from Let's Encrypt it's fine, I'll have a manual install below. What is SSL and Let's Encrypt? An SSL certificate is a type of certificate that encrypts information on devices or applications that support encryption with SSL certificates. The SSL certificate will have two parts, a Private Key and a Public Key, where the Public Key will be installed on the terminal application that the browser or other applications can access. A data-processing handler, which acts as a key to decrypting data sent from a terminal that has been encrypted by a public key. To qualify for an SSL certificate, you must register with authentication organizations such as Comodo, GeoTrust, Symantec, and so on. For a fee, SSL certificates are also classified into DV, OV, or EV depending on the type of website. you. Because this article is not SSL series, I will talk more in detail about SSL-specific series. 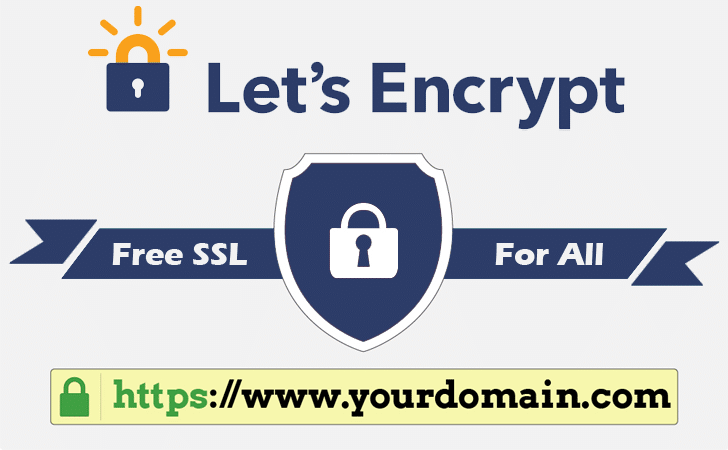 Let's Encrypt is an SSL authentication organization like Comodo, GeoTrust, Symantec, but otherwise, they are non-profit organizations founded with the sponsorship of major organizations in the world Cisco, Akamai, Mozilla, Facebook. ... for the purpose of providing free SSL certificates for everyone to help all websites are encrypted, creating a safer internet environment. Therefore, the SSL certificate at Let's Encrypt will be the same as the other types of SSL certificates, except that you have to renew every 90 days. How to extend, I will detail in the installation. In this article I will be divided into two parts, the installer automatically with the tools available on the host if the vendor support, and the install manually with the host does not support the automatic installation. Before you do this, your domain name must be pointed directly to the host without any proxy (such as CloudFlare, for example), it is best to point your host through the provider's name server. If your host supports the free SSL feature on Let's Encrypt then you will find an item named Let's Encrypt SSL in the cPanel control panel as shown below. Then select your domain name and select Issue. And then the message is successful if you get the error (notice in red), look closely at what error, or most of the domain name is not SSL set to host or if you have point then go to File Manager renamed the .htaccess file to .htaccess_bak and tried again. After successful installation, rename to .htaccess. 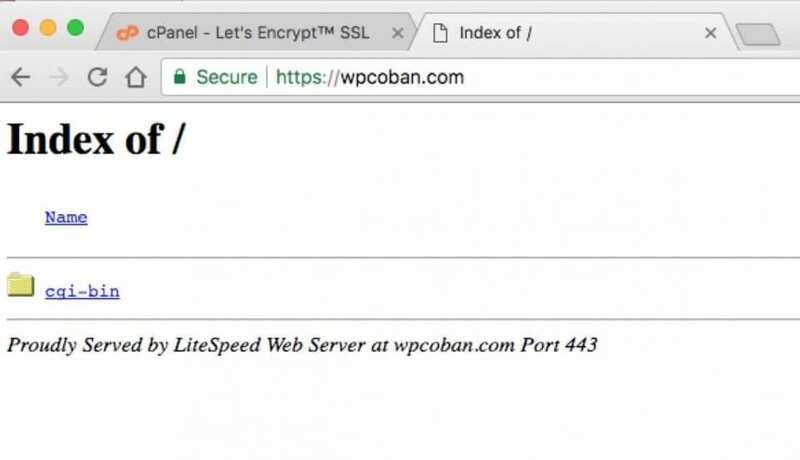 Notice the SSL certificate installation from Let's Encrypt on the host successfully. And now you can access the link is your https://www-domain.com to try the https protocol that works. 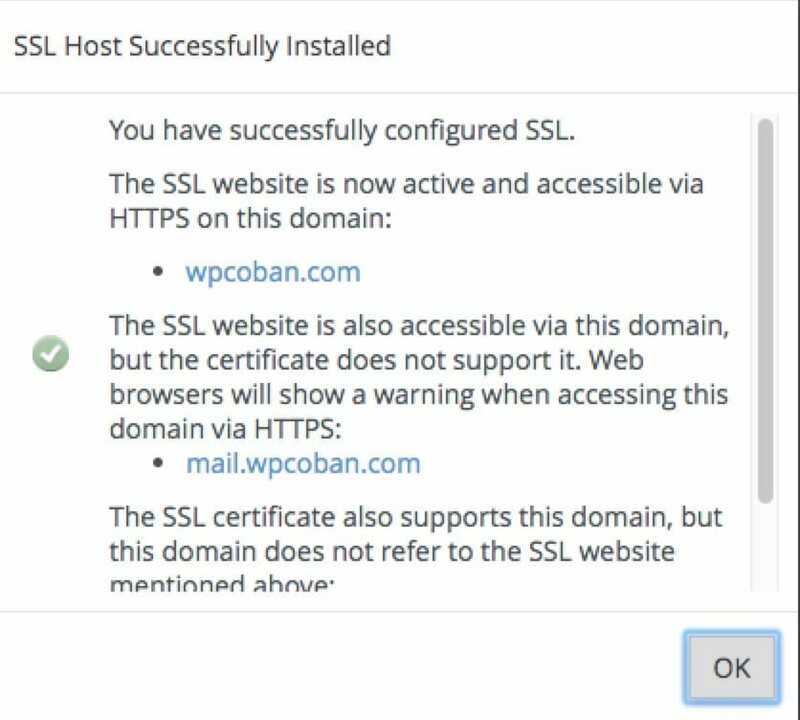 If you already have a website available on the host then just install the Really Simple SSL plugin into the website will change to the HTTPS protocol now. With SSL certificates from Let's Encrypt it will have a term of only 90 days and before the expiration, you must renew. For supported hosts available Let's Encrypt the system will automatically renew for you and each extension will have email notification. In case you receive an extension renewal email failed, the main reason is the conflict from the .htaccess file, so just go to File Manager and rename the .htaccess directory to .htaccess_bak and re-enter the .htaccess file. Let's Encrypt SSL, select Reissue is complete. Note, the .htaccess file here is the .htaccess file located in the public_html directory. 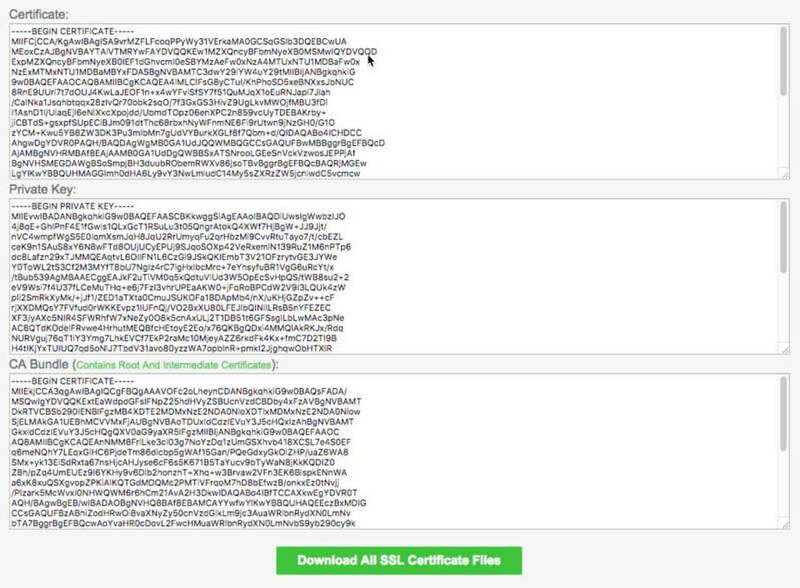 If you do not see the .htaccess file then go to File Manager => Settings (right-hand side) and select Show hidden files is ok.
And congratulations, your website already has HTTPS protocol with valid SSL certificate successfully. If your host does not support automatic installation as instructed on the previous page, you can do it manually by following the steps below. And to do so as per this tutorial, you need to have a primary FTP account for the hosting package (usually the same as the login information for the host). First, go to https://www.sslforfree.com/ and enter your domain name then click the Create Free SSL Certificate button. Then select Automatic FTP Verification. Then fill in the FTP login information, the Directory section you enter the root of the domain name to be SSL. If domain name is set as domain addon or subdomain then you must enter the correct path of that domain, and select Download Free SSL Certificate to complete. You save that and go back to the cPanel control panel of the host to do the next step. Now go to your host's cPanel panel and look for the SSL / TLS entry. Then go to the Certificates (CRT) section. 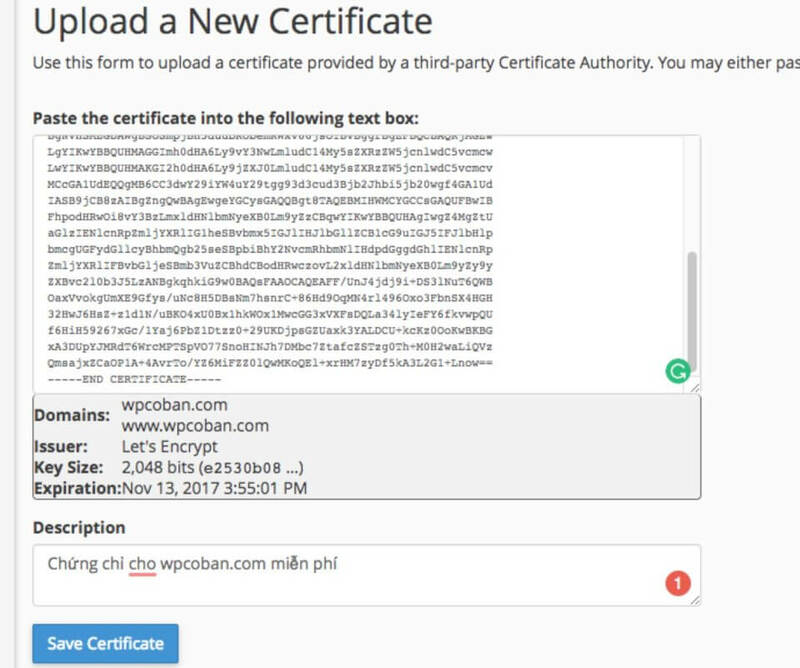 Then in the Upload a New Certificate, enter the Certificate Certificate you received in step 1, Description description also. Then choose Save Certificate. After saving successfully, press Go Back to go back and select the Install button in the certificate that you just added, remember to note Issuer should be Let's Encrypt offline. 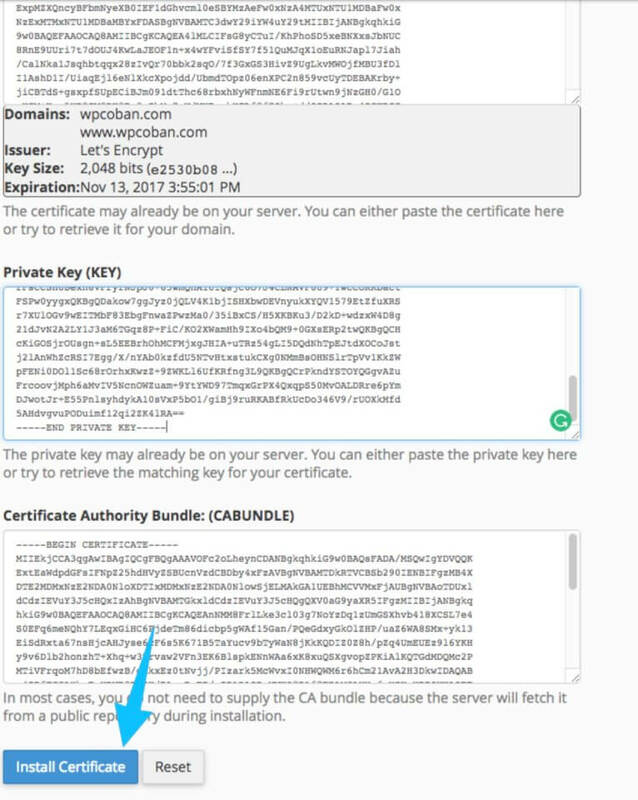 Then in the Private Key (KEY), enter the Private Key code you received in step 1, then press the Install Certificate button. N?u thông tin b?n nh?p là chính xác thì b?n s? nh?n du?c thông báo nhu sau. You can now access the website by the https protocol. If you have a WordPress website available, just install the Really Simple SSL plugin. If you manually install as above steps then the renewal you have to do manually. 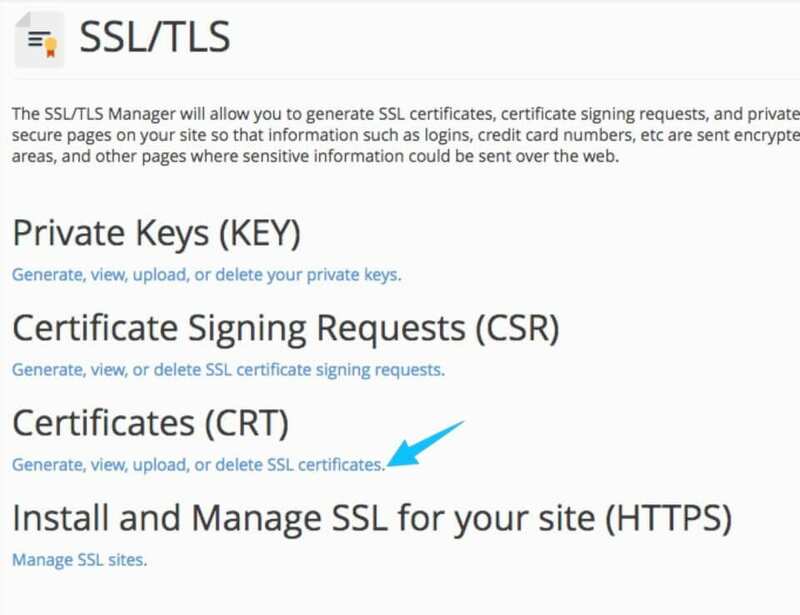 To renew, simply follow the steps above and update the other SSL certificate for your website, go to SSL / TLS => Manage SSL sites. Then select the Update Certificate and enter the new credentials.